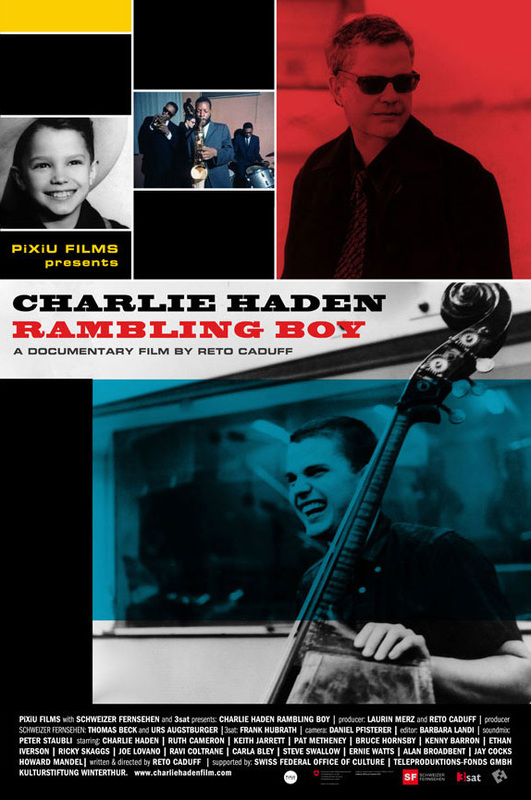 “Charlie Haden – Rambling Boy”: the feature legth documentary presents the life and work of Charlie Haden. The film is set to be released in Europe by the end of 2008. An airdate for TV in Switzerland, Germany and Austria will be follow soon. After three years in production, the filmmakers are currently in the final stages of editing and adding the appropriate music to the documentary. From the get-go it was clear for both director Reto Caduff and subject that the film has to go beyond the generic filmed music story: an intimate look at the music and life of one of Jazz’ most inspiring and influential musicians. With access to Haden’s own personal archive, film sequences shot during concerts and recording sessions, interviews with an incredible selection of friends and collaborators and great archival footage, the documentary will please diehard jazz fans as well as the newly initiated. The new album Rambling Boy will be released on Sept. 23. This entry was posted in New Release and tagged Charlie Haden, Film. Bookmark the permalink. A brilliant film, introducing even the most unexposed potential listener to the bass and the bassist in a readily accessible, intimate way. Superbly edited to sustain the feel of a bass solo — structured, grounded, to the point, with excellent interview material from Pat Metheny, Carla Bley, Steve Swallow, Ravi Coltrane, Joe Lovano (and full disclosure, myself); fascinating historic footage of the Haden Family Band and Ornette Coleman in Portugal, 1971; the best music sequences with Keith Jarrett, filmed inches over his shoulder. Also lovely stuff about Charlie’s wife Ruth and triplet daughters and son. Must viewing — modern music, Americana, jazz, the marriage of word-sound-image! Thanks Reto!